Memory loss is one of the more common symptoms of perimenopause and menopause. In fact, about 60% of women experiencing perimenopause and menopause have some symptoms of memory loss. In laymen’s terms, memory loss in menopause is called “brain fog” and it involves feeling as though you can’t remember things as well as you used to and are walking around with a muddled head. The type of memory loss seen during perimenopause and menopause usually involves forgetting newly acquired verbal information and having difficulty with concentration. Typical brain fog symptoms include forgetting people’s names (particularly new names of people you just met), forgetting tasks in the middle of trying to do them, or forgetting where you left things, such as your car keys. Fortunately, the problem is not permanent and does not mean you are becoming demented. In fact, research out of the University of California, Los Angeles, was done on this issue in 2009. In the study, greater than 2,000 menopausal women were tracked regarding their memory loss. It was found that the women’s symptoms of learning disability and memory loss returned to normal after menopause had been achieved. Why Does Brain Fog Occur? 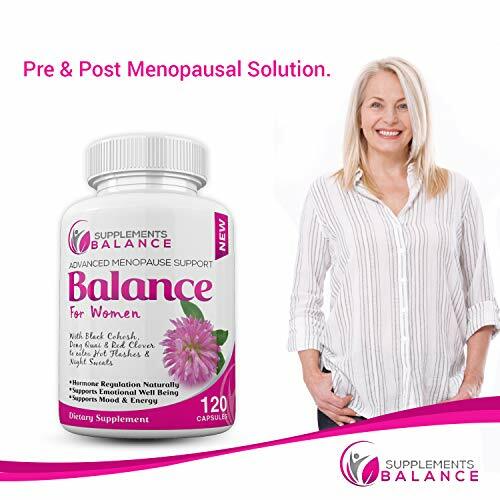 As is true of many of the symptoms in menopause, hormone fluctuations are usually at fault. When the levels of estrogen fluctuate during the perimenopausal state, women can get various symptoms, including hot flashes, night sweats, decreased mood, vaginal dryness, urinary tract problems, and mood swings. In addition, women in menopause often do not sleep well. These sleep difficulties are also caused by fluctuations in estrogen levels and contribute to the inability to concentrate and the memory difficulties associated with brain fog. You need estrogen to sleep well, as well as having the ability to pay attention to things, have good short-term memory, acquire language skills, and keep your mood stable. The presence of hot flashes in menopause seems to be related to a loss of memory, particularly verbal memory, which involves remembering words. A study out of the University of Illinois, Chicago, in 2008 revealed that moderate to severe hot flashes are an indicator of memory loss. The study looked at 29 menopausal and perimenopausal women, who had at least moderate to severe vasomotor symptoms (hot flashes). Those women who reported more hot flashes did more poorly on verbal memory testing. While hormone replacement therapy (HRT) is usually given for the treatment of hot flashes, it can also improve memory and concentration. A study out of UCLA showed that giving HRT to perimenopausal women had a positive impact on memory. Remember that HRT is not without risk, and can increase the risk of female-related cancers and heart disease, especially when given after the age of 60. If you are considering HRT, discuss the pros and cons with your physician to assess the risks and benefits of using this type of therapy. Sleep disturbances are extremely common in menopause. If you can turn that around and get more sleep, you can improve your memory and other brain fog symptoms. In order to sleep better, you may need to practice better sleep habits. This means developing a sleep ritual, such as limiting alcohol and caffeine before sleeping, keeping the room cool and free of distractions, or relaxing in a warm bath before going to bed. Eating better can improve your memory. Foods that contain omega 3 fatty acids (such as is found in cold water, fatty fish) seem to help memory loss caused by menopause. A review study out of UCLA indicated that omega 3 fatty acids could be beneficial in controlling the memory loss and improving memory. You can also get these types of fatty acids in kiwi and walnuts. Folate also helps your brain improve its ability to remember. Folate can be found in the diet by eating plenty of leafy green vegetables or by taking a folate supplement. This means drinking just 2 glasses of red wine per week. Red wine is especially recommended because of its high concentration of resveratrol, which scavenges for free radicals in the brain. More than 2 glasses a week may have the opposite effect so stick to a two drink per week limit. If you don’t drink, try eating turmeric or taking it as a supplement. Turmeric is also high in antioxidants that will help improve brain fog symptoms. While many believe that gingko biloba enhances brain function, it hasn’t held up to that claim in the US. Research in Germany, however, has indicated its usefulness for memory loss. It is commonly used in Germany to improve memory and decrease the onset of dementia. Have a discussion with your doctor before taking this herb, as there can be some drug to herb interactions, depending on what medications you are taking. If you feel as though brain fog is a problem, try using memory tips to make sure you don’t forget everything. Write things down, break down complex tasks into separate steps, and play games like Sudoku, Scrabble, and crossword puzzles. Menopause can be a time when stressful life events are more likely to occur. You may have to take care of teenage children, balance responsibilities at home and work, or be the caregiver for your elderly parent. If you cannot change these things in your life, try stress-reducing techniques like meditation, yoga and tai chi to decrease the perception of stress and improve your memory. Brain fog symptoms doesn’t affect all women in menopause but if you are experiencing these symptoms, there are things you can do to combat the problem. Even if you do nothing, your memory loss symptoms and other brain function activities will eventually return to baseline levels when menopause ends.